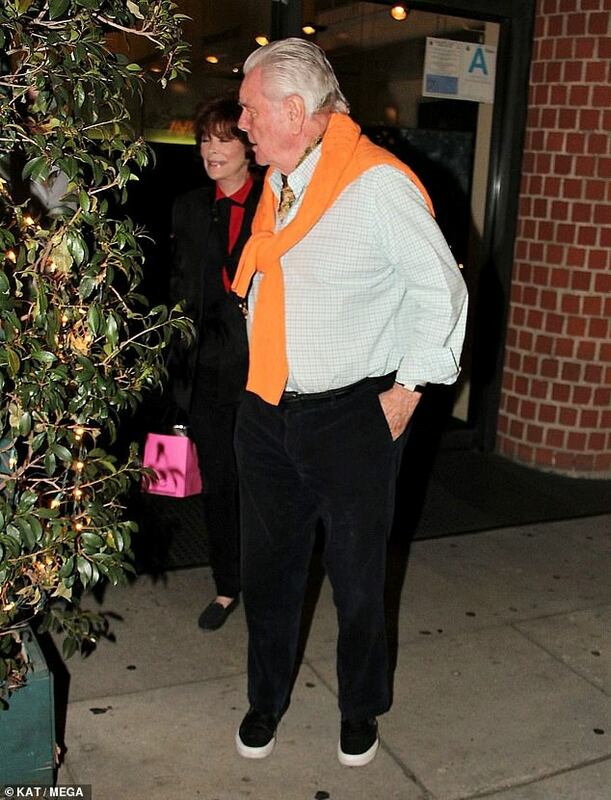 Robert Wagner, 89, makes rare appearance with wife Jill St John in LA. 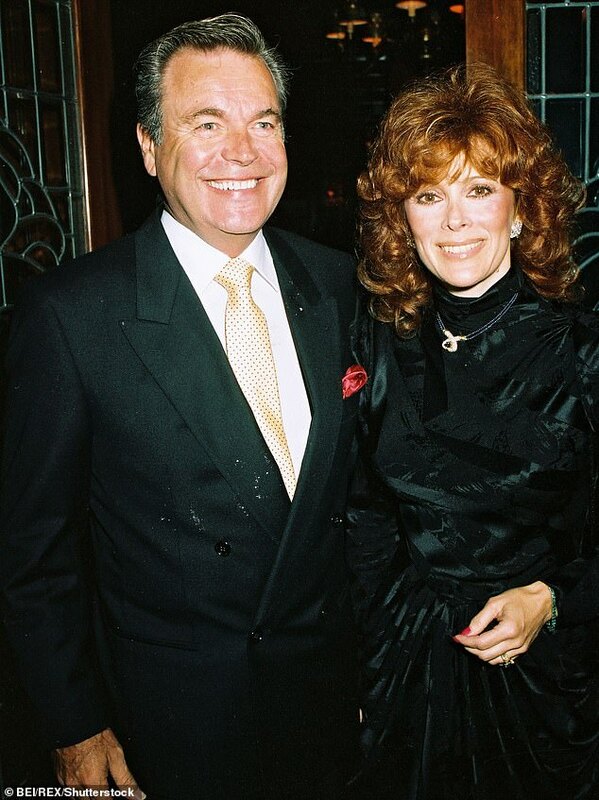 Robert Wagner normally spends his time with wife Jill St John in Colorado. 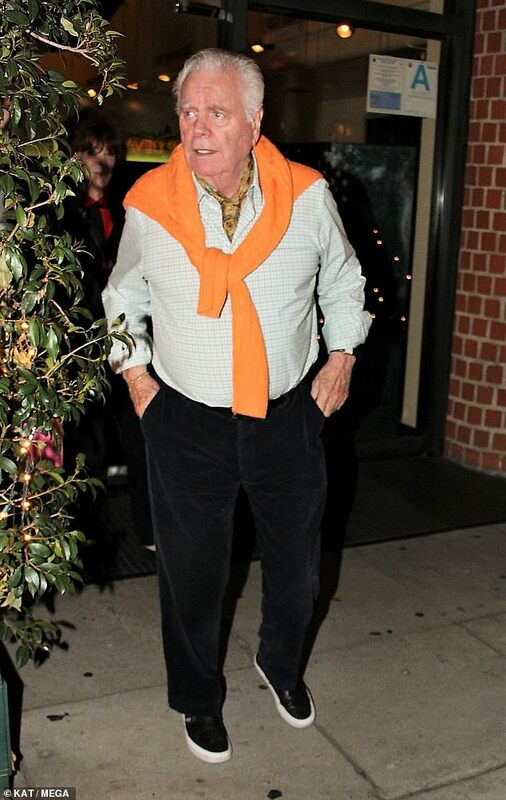 But on Sunday evening the 89-year-old Hart To Hart actor was spotted leaving Mr Chow in Beverly Hills with his 78-year-old Bond girl wife. 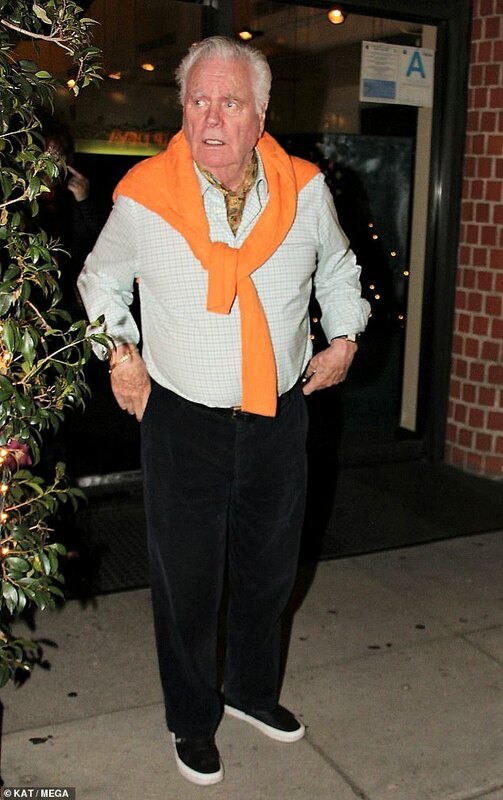 who is best known for 1971's Diamonds Are Forever. 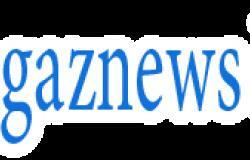 This comes on the heels of a wave of fresh accusations that the former matinee idol was involved with his wife Natalie Wood's suspicious death in 1981 while on a yacht off the coast of Catalina, California. 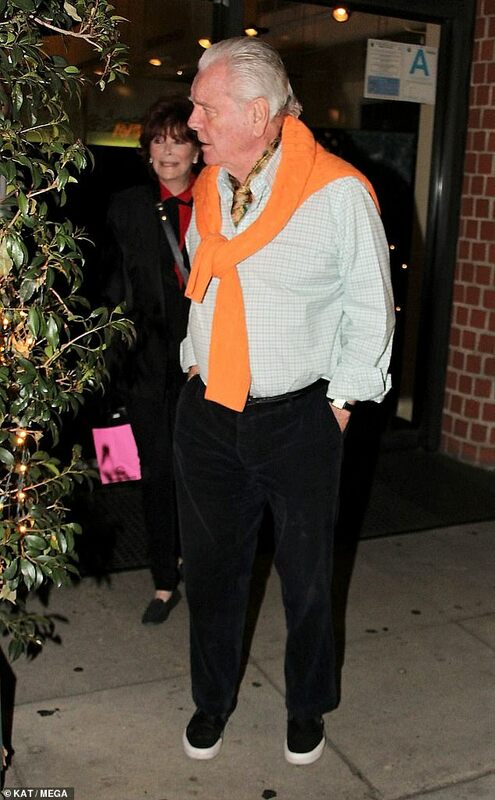 Robert wore a plaid shirt with an ascot around his neck and an orange sweater tied around his shoulders as well as dark slacks and sneakers. Jill -who was also in 1960's The Lost World - had on a red shirt with a black tie as well as a black jacket, slacks and shoes. Robert wed Jill in 1990 after dating for several years. Jill and Natalie were close friends and even made guest appearances on Robert's show Hart To Hart alongside his TV wife Stefanie Powers, now 76. Wood, who hated water and did not swim well, drowned mysteriously on November 28, 1981, after arguing with Wagner on board their boat. They had been boating near the island of Catalina with Christopher Walken, Wood's co-star who was one of Wagner's friends. In October 2018 the boat captain who has alleged that Wagner killed Wood after fighting on board a yacht has claimed Wagner held him captive under the watch of bodyguards for a year after the actress's mysterious death. During an installment of the podcast Fatal Voyage: The Mysterious Death Of Natalie Wood?, boat captain Dennis Davern made his most recent accusation against Wagner, who he says took him into a room the minute he got to his home. 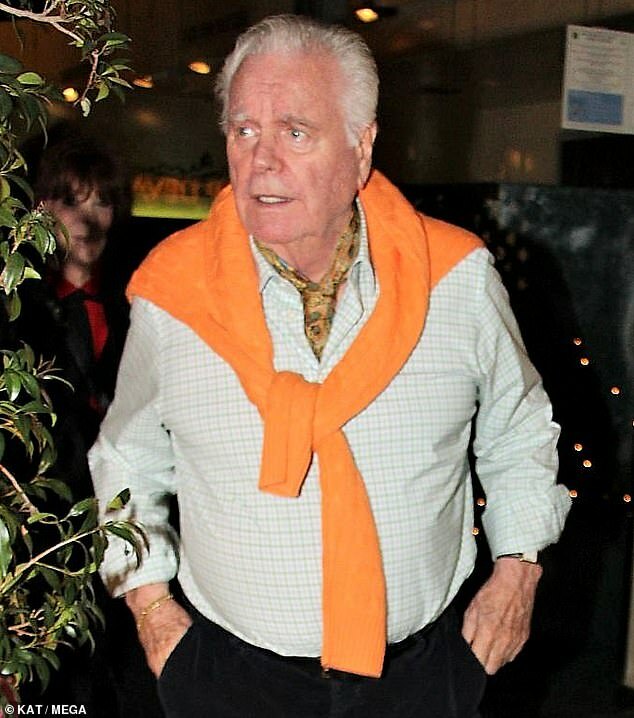 'The morning I got to Robert Wagner's house from being picked up at the Long Beach Harbor there were a lot of people at the house and I was taken right up to Robert Wagner's bedroom where his lawyer Paul Ziffren was. 'They told me directly face to face, this is going to be our story, this is what we're going to say. 'The story was that when Natalie went missing that she must have gone outside her state room because the dinghy was banging against the hull of the boat and she couldn't sleep so she tried to retie the dinghy, and she must have slipped and fell in the water,' Davern said. Ziffren died in 1991. He said was forced to stay in Wagner's home in a locked bedroom. He did not specify how long he was kept in the room but he said that it came to a stop with Wagner presenting him a check for $6,000 to 'buy an apartment'. 'I believe I only got out of that house a few times. I mean I was starting to really feel claustrophobic. 'At night time, when I would go to my room, if I felt like I wanted to go downstairs or maybe just move around, I really couldn't because the first time I put my hand on the doorknob of the bedroom that I was in, it was like a magnetic, like a magnetic lock. 'It wouldn't allow me to open the door,' he said. Her family have long suspected that Wagner hit her and either pushed her into the water in a rage or caused her death in another way. Robert has always maintained that she went off in a dinghy on her own accord and never returned.